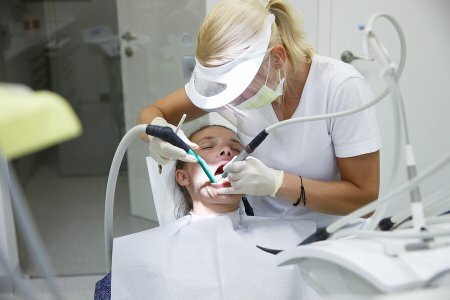 One of the primary challenges dentists have is to convince their patients to schedule routine cleanings and check-ups. It’s not uncommon for people to go years without seeing a dentist, at which point they’ll likely need extensive treatments for tooth decay and gum disease. Quite often, the procrastination is due to dental anxieties . If the idea of sitting in the dentist’s chair fills you with dread, your dentist can help you find solutions that work for you. Furthermore, having to undergo these extensive treatments may make your dental anxiety worse. Dental anxiety can affect your quality of life in other ways, such as by causing emotional distress. It may cause social awkwardness, if you become embarrassed about the appearance of your smile. Here at Park 56 Dental, we understand that many patients are nervous about professional dental care. We are pleased to offer sedation dentistry in NYC to help you receive the care you need, while remaining as comfortable as possible. Schedule an exam with a dentist today by calling (646) 783-3529. It’s always preferable to save the natural tooth, but this isn’t always possible. If you have teeth that are too badly damaged or diseased to be saved, or if you already have gaps in your smile, talk to your dentist about implants. 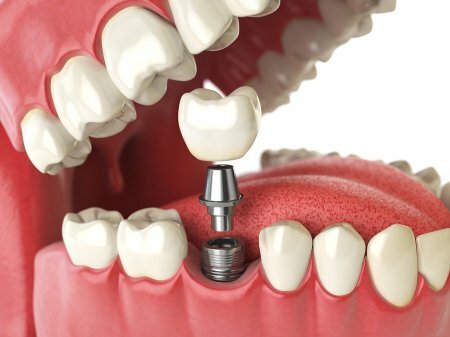 Dental implants aren’t the same as dentures. Dentures are removable false teeth, whereas dental implants are permanently anchored into the underlying jawbone—just like a natural tooth. Dental implants are easy to take care of. You’ll brush and floss them just like your natural teeth. Unlike dentures, there are no restrictions on your diet. Feel free to eat crunchy carrots and crisp apples without worrying about your new teeth slipping out of place. Plus, you’ll love what dental implants do for your smile. No one will be able to tell that you once had missing teeth. Park 56 Dental is widely known throughout NYC for dental implant expertise, and for our unbeatable commitment to patient care and safety. Don’t let missing teeth ruin your smile —call a dentist today at (646) 783-3529. If you’re tired of looking back at holiday pictures and wishing your smile looked better, it might be time to visit a dentist and do something about it. Thanks to dental implants, veneers, and even dental cleanings, you can achieve the smile you’ve always wanted. Keep reading and see what you have to smile about during the holidays. You can’t expect to show off a beautiful smile if you don’t do anything to take care of it. From the time you’re old enough to know how, you should brush your teeth twice each day with a soft bristled toothbrush and ADA-approved toothpaste. You should also floss between your teeth each day to get rid of the debris and bacteria that build up. Even if you’re fully committed to your dental hygiene routine, you should still see your dentist regularly for more thorough cleanings and screenings. It’s never the wrong time to do something about your smile , so talk to your dentist if there’s something you’ve been thinking about changing. Your dentist can teach you about all of the different options, like dental implants, veneers, and Invisalign treatment. The two of you can discuss what you’d like to change about your smile and decide which procedure will give you the results you’re looking for. You should know about all of the details before you commit to a particular treatment so that you know what to expect going forward. Once you and your dentist decide what kind of restoration is best for you, you just need to maintain the results. Take care of your dental implants or veneers so they last for the long run, and take pride when you show them off in all of your holiday pictures. Looking your best for the holidays is easier than ever thanks to Park 56 Dental , so call our offices at (646) 783-3529 or check out our website. In our office, you can have the best dentist in NYC transform your smile with dental cleanings and tooth implants.